Choose one of the 8 exclusive themed suites and you'll see Rome through a whole new lens - a brand new dimension for you to explore. 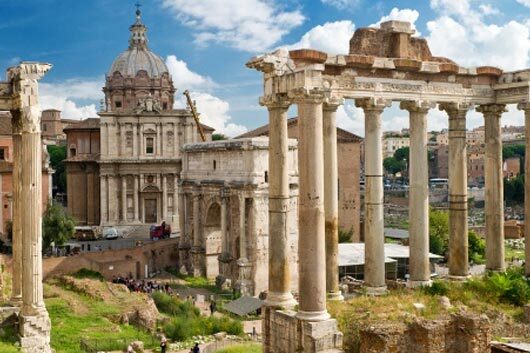 Close your eyes, imagine, and visit the Rome of your dreams.Only Abitart offers you this kind of experience. A room for those who like to dare, who like to play with strong contrasts, broken angles and improbable geometries. Words and images float around the sunny, golden decor, which hovers between romanticism and contemporary elegance. Fly through the De Chirico's surreal blue skies in this day dream suite. Rediscover the beauty of the past with 19th century decor and escape from today's hyper-technological. Seductive photographs from Helmut Newton, Fellini’s Dolce Vita and a delicate, antique rose decor, help create an intriguing set for a photo-shoot. An enchanting and hypnotizing homage to Picasso and his Guernica.